you need to be very good at jumping, to capture the flag in regular grav. The building itself looks pretty good, I like the type of wood you chose for the structure. Judging just from the screenshots, I would say that the map seems to small. I think we may just need to know the gametype you are going to be designing for? FFA, TDM, Bomb? I'm not sure what those geometric shapes are for below the house? Can you post more screens? It best to view the map from within urt. 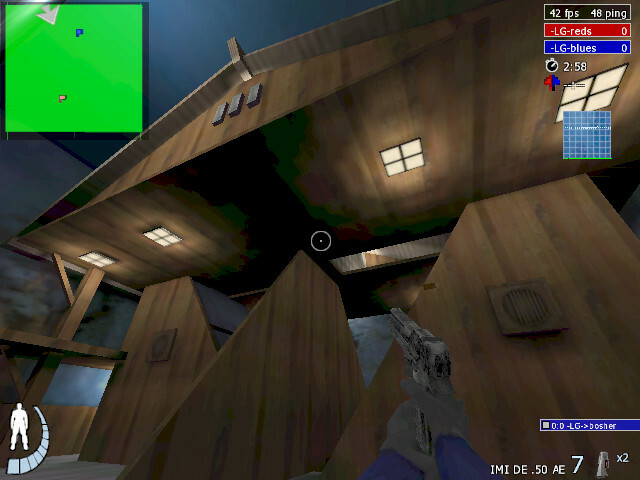 this map has three levels, which adds to the size. 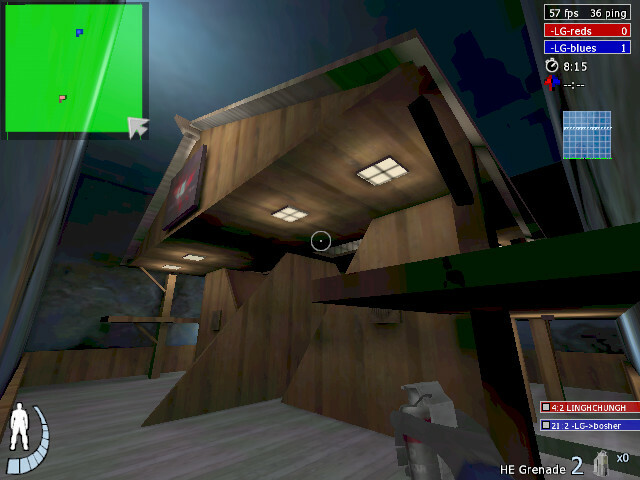 There is a wooden screen in between the two mid level access points ( a small entry hole is also present for sneaky escapes into the relative safety of the spawn, if you have the flag.) Most player overlook this hole. I have played it many times now, with my clan and guests and am quite happy how it plays, except... The mid ramps are so steep that it takes a jump expert or lowgrav to enter the attic. I will adjust this in the final build. Any other questions or suggestions, before I build the final ? Last edited by >bosh on Thu Jul 04, 2013 5:40 pm, edited 1 time in total. The idea was to make a map that was vertical as much as it was horizontal, if you know what I mean! As the name suggests, it is a falling map! 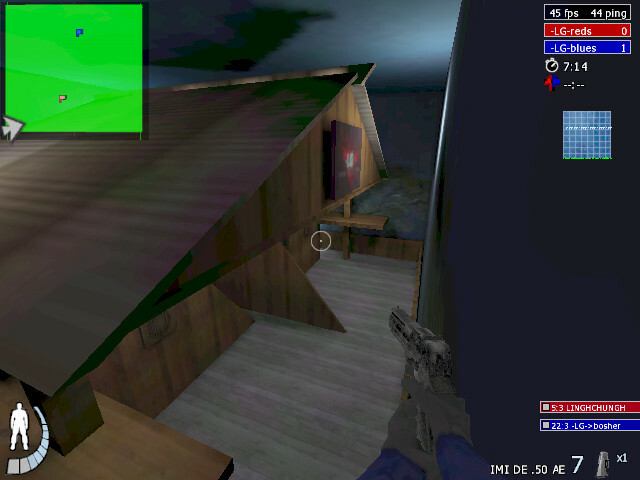 Lol, so you spawn at the top (with the enemies flag) and then choose your route down, leap and navigate your fall to the pool, tucked away at the bottom, while being sniped and shot at from mid way campers or fellow enemy fallers. I will add it here for your scrutiny, when I get time. Look for a program called SSBump. It will give you some decent bump/normal maps on your textures for free. I googled ssbump, but am still a little unclear of the best way to apply this to my designs. Would you mind giving a link or two, that would be great.